This is the tiniest form of Sedum album ever discovered. It was found on Fårö Island of Sweden in the Baltic sea by Paul Whicher of the UK. 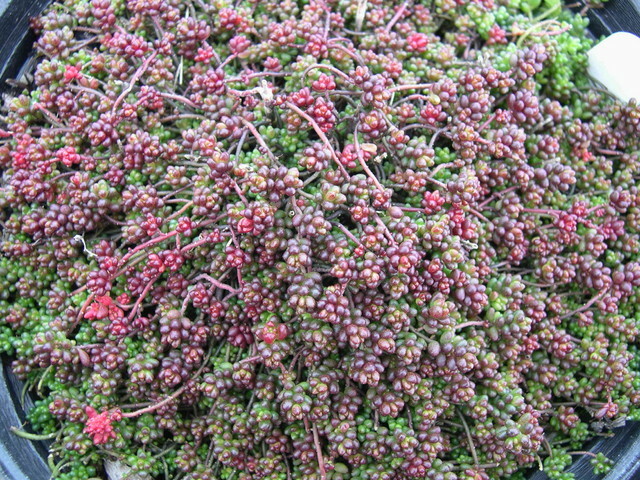 It has tiny red leaves that can turn olive-brown in the summer. White flower clusters on short, for the species, stems. It is very slow spreading and very hardy.